‘Mobile Age’ is a free and easy to use ‘one-stop shop’ application for your phone, computer, iPad or handheld electronic device, which is designed to tackle the serious issue of loneliness by better connecting older people with their communities. Devised by a team of experts from Lancaster University and co-designed by a group of 10 older adults from South Lakeland, the app provides the user with information about local events, services and volunteering opportunities, and saves the user from having to trawl through numerous websites to find things to do. The app is the result of a wider €2.9 million research project involving more than 100 older adults across Europe to create apps and digital services to deal with complex social issues such as isolation, exclusion and access to services. The UK arm of the ‘Mobile Age’ project, which will culminate in written policy briefs for the EU and UK government, is focused on the South Lakeland area and centres around reducing social isolation and loneliness. Residents aged 65+ years account for over a quarter (25.5%) of South Lakeland’s population which is the highest proportion in the country. 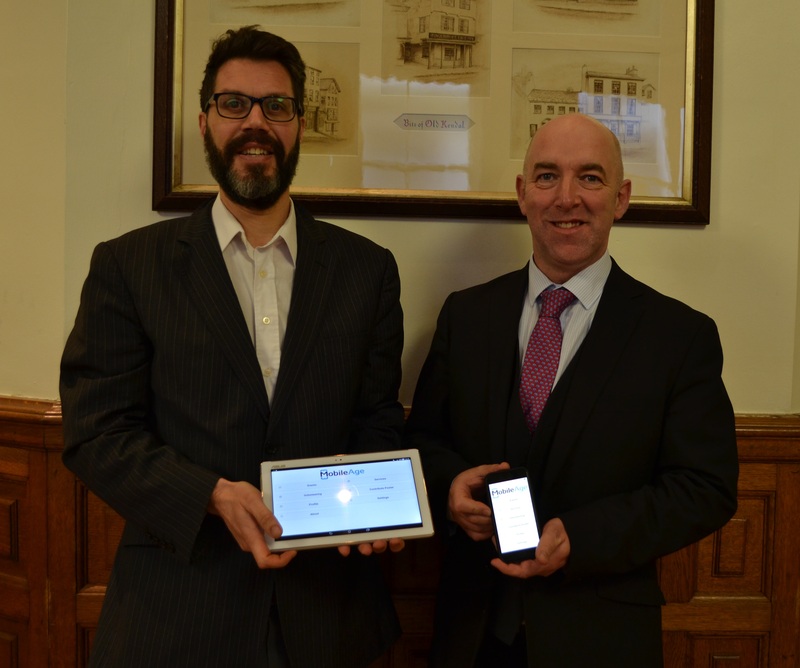 Kendal Town Councillor Eamonn Hennessey said: “As a council we’re absolutely delighted to be teaming up with Lancaster University to launch this new free app to South Lakeland. “Loneliness and isolation, especially among our older residents, is one of the biggest issues facing our area so we’re hoping that this app will help people feel more connected to their communities. Professor Niall Hayes from Lancaster University Management School led the team of researchers to develop the app. He said: “It is fantastic to see that the word is spreading about this new app which is free to use and should go some way to better connect older people with their communities. “The app has been designed to be purposefully simple so should be easy to use, and family, friends, neighbours and carers can access it on behalf of a friend or relative to help them plan their weeks. It is designed to reduce cognitive strain by putting valuable information at the users’ fingertips that would otherwise take 100 clicks to reach, or a lot of time and effort to find out in person or by telephone. Posters and leaflets have been shared with councillors around the town to be displayed in key public areas like doctors surgeries, and Cllr Hennessey will be raising awareness of the app and its benefits with local residents. As a council we’re absolutely delighted to be teaming up with Lancaster University to launch this new free app to South Lakeland. Loneliness and isolation, especially among our older residents, is one of the biggest issues facing our area so we’re hoping that this app will help people feel more connected to their communities.